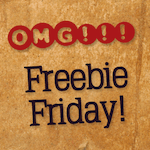 Freebie Friday “Labor Day Flicks” Edition: Win a Free Redbox Gift Card! It’s the long Labor Day weekend! We hope you’ll be doing not much labor and a whole lot of weekending. In the midst of the extra free time, many of us will be catching up on movies we’ve been wanting to see. Let’s talk about our plans! What movie(s) will you be watching this Labor Day weekend?